SAINT JOHN, NB – The latest location of the PEI Brewing affiliated brewpub chain The Gahan House is now open in Saint John, New Brunswick. 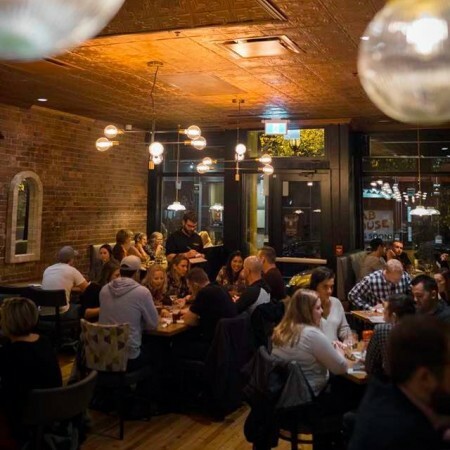 Gahan House Port City opened last week 87 Prince William Street in Uptown Saint John, and features a 120 seat dining room, 30 seat seasonal outdoor patio, and a fresh oyster bar. The on-site brewing system brought over from the shuttered Rogues Roost brewpub in Halifax is not yet online, but Gahan House and PEI Brewing beers brewed in Charlottetown are currently available, and house brewed beers are expected to be on tap in coming weeks. Gahan House Port City is the third location in the chain, following the original Charlottetown location and the first spin-off on the Halifax waterfront. A fourth location in Moncton is planned to open next year. For more details, see the Gahan House Port City Facebook page.